Daikoku Drug is especially popular among drug chain stores in Okinawa. Our regular, and extremely cheap prices have additional 5% discount every 1st and 3rd Saturday! 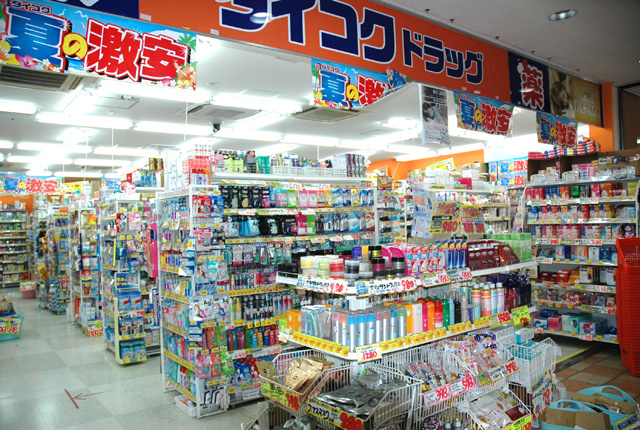 All prices in 100 shop located in our area are 100JPY including consumption tax. In addition, they have 90JPY sales day on every 10th each month. Everything is special price everyday, so definitely visit our shop!